New Delhi:(Page3 News Network)-The Central Government in its endeavour to streamline and computerise the data management system in sugar sector, has created a platform which facilitates all the sugar mills in the country to submit online data on sugarcane crushed, sugar production, dispatches and available stock of sugar etc. 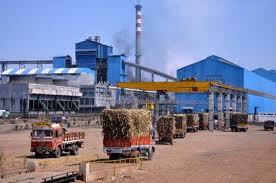 This platform is expected to become the backbone in future for the management of sugar sector. In exercise of the powers conferred by Section 3 of the Essential Commodities Act, 1955 read with Clause 10 of the Sugar (control) Order, 1966, the Central Government has made online system operational to all sugar mills from the last sugar season 2011-12. During the last sugar season 2001-12, 527 sugar mills were engaged in cane crushing operation, out of these, 484 sugar mills have furnished up to date data up to August, 2012, while remaining 53 sugar mills have not yet submitted up to date online details despite repeated reminders. Due to failure on the part of these sugar mills, the Government penal action has taken against 28 sugar mills of Maharashtra, 08 sugar mills of Uttar Pradesh, 02 sugar mills of Madhya Pradesh, 05 sugar mills of Andra Pradesh, 09 sugar mills of Karnataka and 01 sugar mill of Odisha. The name of the sugar mills against whom this action has been contemplated, can be seen on the web site of the Directorate of sugar: fcamin.nic.in.